PETERBOROUGH, Canada: Police said Monday they are treating a fire that was deliberately set at an Ontario mosque as a hate crime. Police are still searching for suspects in the Saturday night fire and say it is unclear if it was connected to the deadly terrorist attacks in Paris the previous day. But Police Chief Murray Rodd said that an injury to one of the city's ethnic communities is "an injury to us all". The president of the Kawartha Muslim Religious Association, Kenzu Abdella, said the mosque was set ablaze at 11pm. Saturday, about a half hour after association members were in the building celebrating the birth of a baby. Abdella said no one was injured in the fire but the building has been rendered unusable. 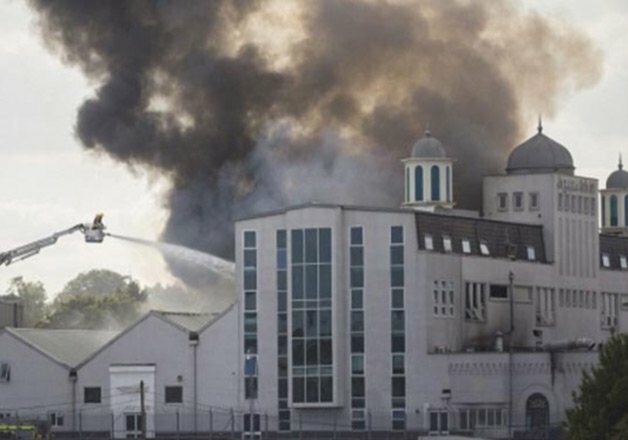 New Canadian Prime Minister Justin Trudeau said he was "deeply disturbed" by the fire and promised to protect the rights of worshippers at the mosque and catch those responsible for the fire. "Canada is a country that is strong, not in spite of our differences, but because of them. Muslim-Canadians contribute enormously to the social and economic fabric of our nation, and Canadian authorities will not abide innocent and peaceful citizens being targeted by acts of vandalism and intolerance," Trudeau said in a statement. "The recent terrorist attacks in Paris have shocked peace-loving people in all countries around the world. We must remain focused on those responsible for the atrocities committed in France. It is equally important for Canadians to understand that Muslims around the world are also being persecuted regularly by these violent extremists. We are in this together." Christian and Jewish leaders, as well as community groups, immediately offered to open their facilities to Kawartha association members for prayers. Congregants will likely pray in a United Church on Friday, said Abdella. Some faithful used the grass outside the mosque for noon prayers on Monday. Shazim Khan, the mosque's imam, expressed dismay at what had happened but called it a random act. "This is just an isolated incident," said Khan, who has lived in the area for the past eight years. "I know this community â”€ the people are loving, caring."